Last week, I arrived back in London with severe post-holiday blues. 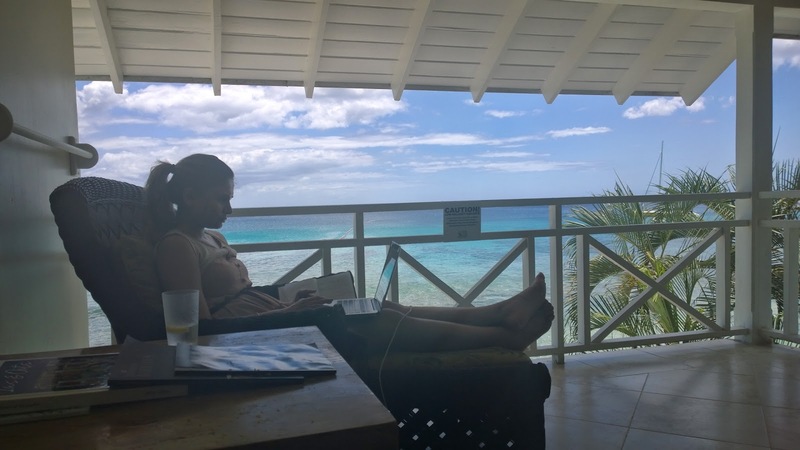 It’s the first time in my life that I’ve experienced the blues but then, I have just come back from my first trip to the Caribbean. Just typing the word Caribbean instantly takes me back to white sands, the turquoise water and clear blue skies. For those who haven’t been, it’s actually dreamier than the pictures and for those who have been, I’m sure you feel my pain! Before I started looking at holiday destinations in the Caribbean, I always assumed it was a once-in-a-lifetime, super expensive honeymoon destination but the reality is it’s not and it can be done a lot more reasonably than you’d think. You just need to know where to look. Barbados has a few key spots in terms of locations; if you’re a party animal you definitely want to be on the South coast and close to St Lawrence Gap where the key bars are, however, like most holiday makers looking for gorgeous beaches, good nightlife and great shopping I opted to stay on the West Coast at The Club Barbados. Located in a very fancy neighbourhood, The Club Barbados is next door to the 5* super exclusive Sandy Lane resort and a stone’s throw from the exclusive Lime Grove shopping quarter and Rihanna’s condo so you’d be forgiven for double checking my reference to an affordable Caribbean getaway earlier. 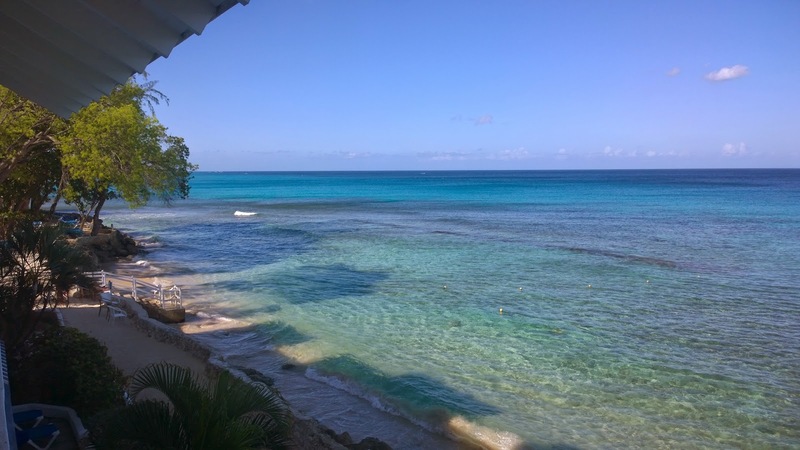 I’ll let you into a little secret…a week all-inclusive at The Club Barbados is about the same as 1 night room-only at Sandy Lane and my stay there was absolutely faultless and it’s VIP treatment all the way – without the price tag. Upon arrival, we were greeted by a lovely team who ushered our bags away and settled us down to check in with a rum punch cocktail. See what I mean about VIP service! 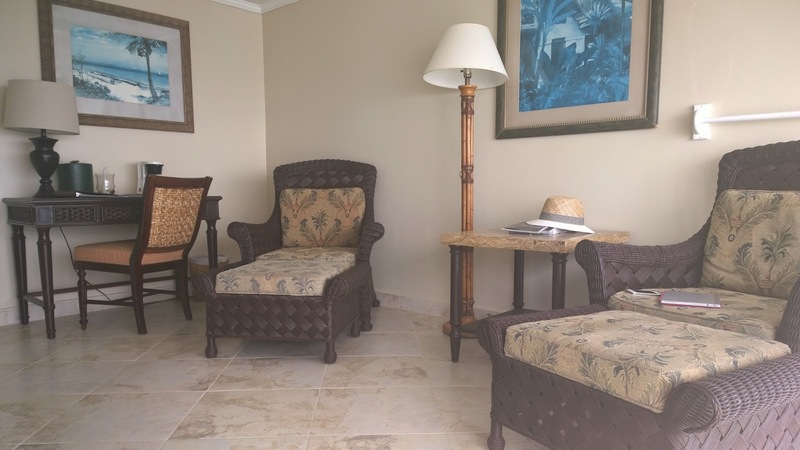 Check in was super speedy and we were shown to our room, one of the lovely 1 bedroom ocean view suites complete with breath-taking views of the Caribbean ocean and private beach. The bathroom and bedroom were a great size; we had a generous sized tub and enough wardrobe space for two girls who severely over packed. The real highlight was the living room though. As well as the priceless views, the living room was open to the elements with just a balcony between us and the outside world. We spent a lot of time there enjoying the outdoors from our armchairs; watching the sun set and listening to the sound of the ocean. Idyllic. 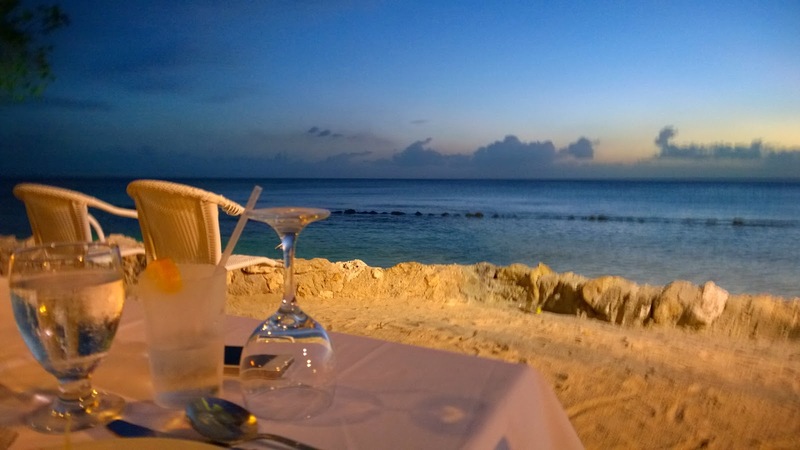 Although there are a couple of dining choices, we had most of our meals at the Sunset restaurant as it’s conveniently located between the pool and the beach and the food was delicious. We were spoilt for choice at breakfast, the highlight for us and most of the guests were the freshly made pancakes. During my stay I heard at least half a dozen other guests talking about how much they would miss having the pancakes! Lunch is a buffet affair, with everything from salads, traditional Bajan Macaroni pie (yum) and a BBQ to choose from while dinner is a more formal, sit down affair with white linen table cloths and candles. Kudos to the BBQ chefs who cooked one of the most delicious steaks I’ve had for a long time, I did have two and I am not ashamed! With the prime location, priceless views from the room and delicious food it’s really tough to pick a highlight from my stay as they are all impeccable. The thing that really makes The Club Barbados special is the wonderful staff and truly Bajan hospitality. Despite having 161 rooms, it feels very small and intimate. Pretty much every single member of staff knew our names and we were treated like VIPs the whole time we were there, we came to see The Club Barbados as home not just our hotel. I need to say a special thank you to Jade who is the life and soul of the hotel; he treated us like royalty, had us in stitches every day and taught us some about rum and a few choice words of Bajan so we felt like real locals. He also knows where all the best parties on the island are! My stay at The Club Barbados was absolutely dreamy. I feel like I’ve been uncontrollably gushing about the hotel but it really was that wonderful. 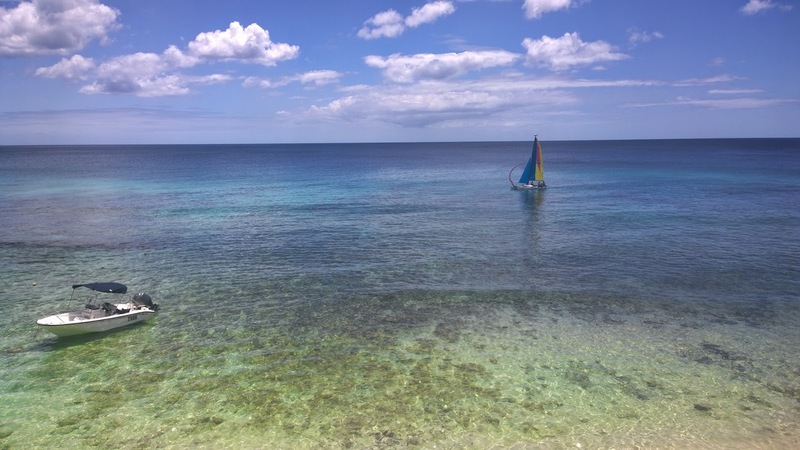 We took a one-night break to St Vincent during our stay and couldn’t wait to come home to The Club Barbados, where at least 5 members of staff remembered we had gone away and asked how our trip was, which totally sums up how warm and friendly everyone is. 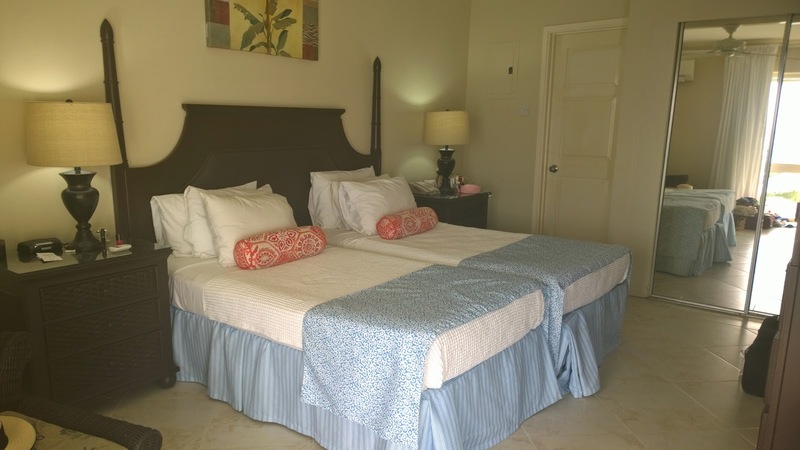 In short, Barbados is a dream destination and you can most certainly experience it affordably at The Club Barbados. For more information and to book a break in paradise, visit Elite Island Resorts. I haven't been to Barbados for so long, but still one of my favorite places on earth!